Where do your Red Tents meet: Burnham Market. When do you meet: Monthly. To encourage our daughters to step boldly into their power as young women through celebrating and sharing women’s wisdom, skills and stories. To nurture the girls through the gateway into womanhood. 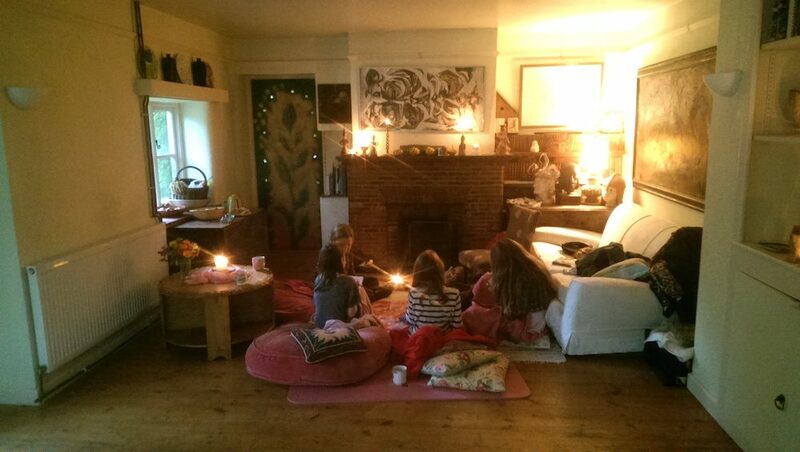 – Help your daughter to hone her intuition through meditation and journaling. – Help her create community and care for herself and her friends. – Through story telling she will learn about the moon & it’s influence on women’s cycles. – We will explore ways girls can nurture their self esteem and take care of themselves both emotionally and physically. – Help strengthen the mother daughter bond. Gather by the fireside, make tea and begin by doing a short guided Meditation to bring the focus into the group and ground ourselves. We will then hold Circle Time, a time to share any thoughts and say how we are feeling and also to listen to our friends. We will share a story. An ancient myth or legend connected to the seasons, a goddess or a powerful woman. After which we will have tea and cake and discuss the story. And take some time to write any thoughts in our journal. We will then do a craft or art project related to the story or season. Each week will follow the same rhythm, working through different aspects of the path to becoming a woman. We ask a £5 donation per family.